With a performance career spanning nearly three decades, Dr. Dobrochna Zubek has established herself as one of the preeminent cellists of her generation. Ms. Zubek obtained her Bachelor’s and Master’s degrees from Baltimore’s Towson University with Professor Cecylia Barczyk and went on to receive the Prix de Perfectionnement from the Conservatoire de Versailles in France with Professor Barbara Marcinkowska. A seasoned competitor, Ms. Zubek’s awards include first place in the 2002 Peggy Friedman Gordon Music Competition, the 2004 Sidney Liebermann Competition, and the 2007 Alexandria Symphony Orchestra Competition in USA. In an evolving and multifaceted career, Ms. Zubek has worked as a soloist, chamber musician, recitalist and orchestral cellist in Europe, the USA, Canada, and Mexico (held a full-time position with Orquesta Sinfonica del Estado de Mexico 2009-2012.) As a member of the Canadian ensemble, Thin Edge Music Collective (since 2012) her performances have been enthusiastically received with her recent interdisciplinary performance, Move Towards Peace, being a shining example for her fluidity of style and comprehension of a vast array of art forms. Ms. Zubek’s international performances include a concert tour and series of masterclasses in Poland, Canada and China (part of University of Toronto Faculty of Music New Music Festival which was held in the Conservatory of Music in Guiyang, Chengdu Conservatory of Music, and in the Chinese University of Hong Kong.) In 2016, Ms. Zubek finished her Doctor of Musical Arts in Cello Performance at the University of Toronto, where Ms. Zubek was Professor Shauna Rolston’s teaching assistant and the recipient of the YoYo-Ma fellowship and then a sessional instructor of cello. Her Doctoral Thesis: Introduction to Mexican Music for Solo Cello from Performer’s Perspective (1962-2012) is one of the first documented researches written on Mexican music for solo cello. 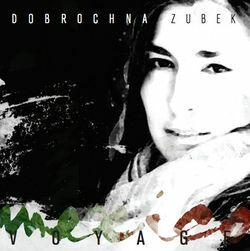 Recently, Dobrochna recorded her first solo CD entitled: “Mexico-Voyage,” followed by Juno nominated CD recording of Hymns of Heavens and Earth, music by Peter-Anthony Togni. Last Fall she started her appointment with the Sudbury Symphony Orchestra as a principal cellist and artist-teacher in residence. She also serves as principal cellist of Ontario Philharmonic. Continuing her chamber music and interdisciplinary performances, she is in preparation for her New York City debut on Broadway this coming Fall with Open Heart Surgery Theatre of Production This is Why We Live, that was previously premiered in London, Paris, Toronto and Krakow.